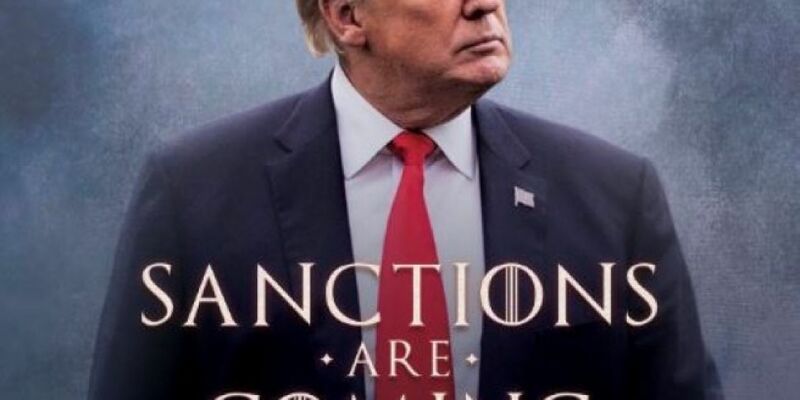 US President Donald Trump has tweeted a dramatic picture of himself in the style of TV show 'Game of Thrones' about upcoming sanctions on Iran. He shared an image of himself looking off-camera, while walking forward on top of a moody grey background. The font is the same as that used in hit TV show, and the wording is a riff on one of its famous lines "Winter is Coming". The post appears to suggest to he's reinstating sanctions against Iran that had been removed under the 2015 nuclear deal.